The residual impacts of Hurricane Katrina were wide-ranging and complex. The extensive devastation of the city and surrounding areas left in its wake challenges that ran much deeper than flood damage. One of those challenges, existing far before Katrina and much exacerbated by the storm, was that of pervasive blight. A gradual population decline across New Orleans since the 1970s saw neighborhood after neighborhood beleaguered by an ever-increasing stock of vacant buildings, and after Hurricane Katrina the city saw an almost 600% increase in blighted properties. 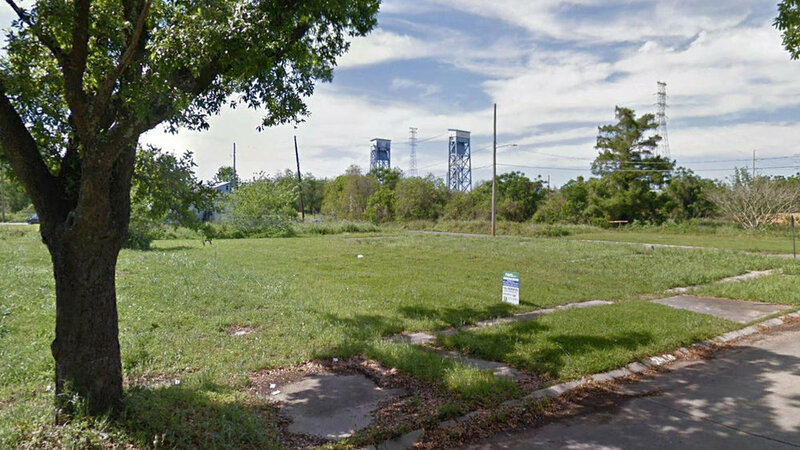 The New Orleans Redevelopment Association (NORA) obtained thousands of blighted lots after the storm with the intent of clearing and reintroducing the lots at below-market rates. Many organizations purchased lots from NORA with the intent of redeveloping once-dense neighborhoods with new housing and commercial construction. One of these organizations is SBP: Disaster Resilience & Recovery. In the spring of 2017 SBP, a past client of EDR’s, approached us with the challenge of designing a 1,100 SF, 3 bed/2 bath modular home with a construction budget of $107.5k. Their plan was to take this house and populate their 38 Lower Ninth Ward lots purchased at NORA auction with new affordable homes. How did they plan to build a house for $107.5k in a city where the average cost of construction comes in at approx. $150/sf or $165k for the same square footage? SBP’s model of subsidies, grants, material donations, and most importantly volunteer labor was the plan for getting these homes built and sold affordably. It became clear that meeting the budget goals for this project involved a comprehensive study of modularity and panellization that would allow SBP’s volunteers to assemble a house without professional experience in a matter of days. After we developed our base footprint we set to work developing a series of modular framing panels that would best suit the form and footprint. After some iterations it became clear that 10’-0” wide by 8’-1 1/8” offered the most efficient but still easy to handle panel. 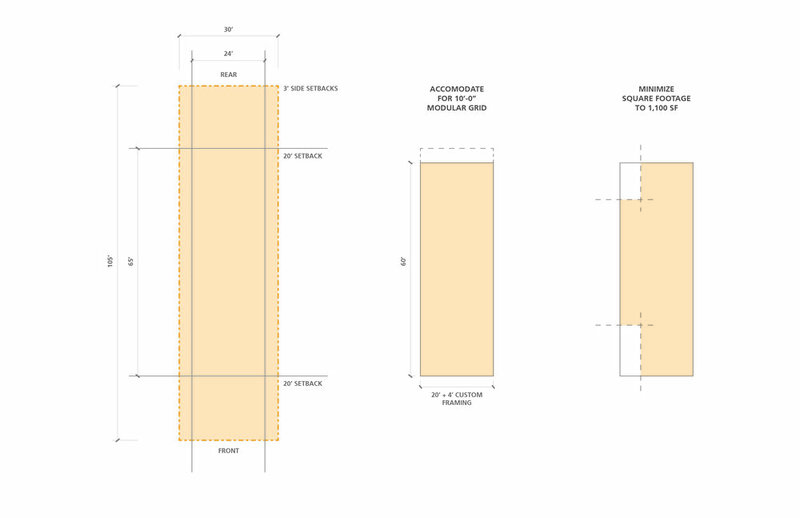 Accounting for pre-cut wood studs, window and door openings, we set to work diagramming a jig for SBP to develop that would allow their volunteers to fabricate panels in their New Orleans workshop. After developing our panel system we finalized design of the homes based on the vernacular New Orleans shotgun house (because what else fits on a lot that skinny!). As soon as construction permits were granted, SBP and their volunteers set to work fabricating the framing panels in their workshop. The panels for the first three permitted L9 Houses were completed in three days by untrained volunteers, mostly consisting of high school students and youth groups. While SBP contracted out the more difficult jobs of driving piles and installing waterproofing, roofing, plumbing, and electrical, the entire rest of the house was completed by volunteer labor. With the help of an easy to construct modular design SBP can now affect their mission of eliminating blighted properties and building affordable housing for existing and future residents of the Lower Ninth Ward. To learn more about the work that SBP is doing, visit their website.